Respecting the tradition, our olives are harvested by hand (hand-picked) avoiding any damage to the olives or the twigs. 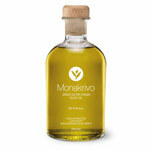 In this manner the best quality of oil is undoubtedly produced. 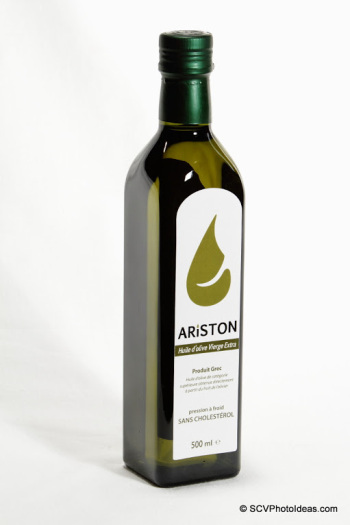 As a result of the microclimate, the soil, the olive varieties and the harvesting method, Ariston olive oil has distinctive characteristics such as low acidity -oleic acid <0.3%- combined with a unique flavor and aroma. Respecting the tradition, our olives are harvested by hand (hand-picked) avoiding any damage to the olives or the twigs. 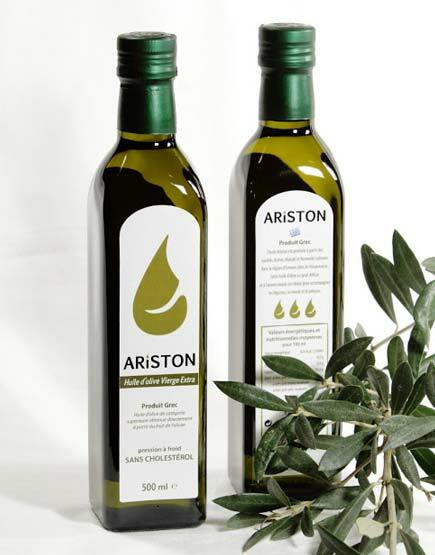 In this manner the best quality of oil is undoubtedly produced.Ariston olive oil is extracted under cold temperature pressing, from the varieties of Manaki and Koroneiki olives. 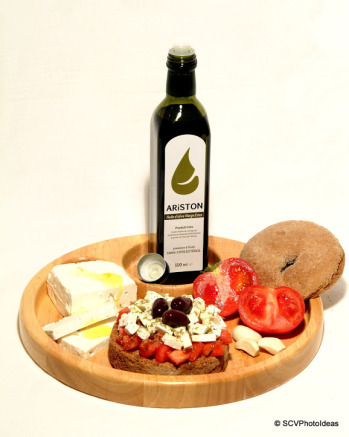 Ariston Food has a long-term engagement in agricultural and commercial activities. This background and experience gives us a privilege in working towards our main goal, “Bring quality Greek food-products into the European markets”. Always focused on providing high quality products in an affordable price, we have based our office in the Peloponnese-Greece, where is the place of origin of most of our products. The communication with other growers and producers in a daily basis, allows us to inspect the collection, production and standardization procedures, thus ensuring the proper and prompt delivery of high quality goods. In dark glass bottles (marasca) of 250ml, 500ml and 750mlIn 1 Lt, 3 Lt, 5 Lt metal tins and in 5 lt BiB (Bag in Box) upon request.